Q: How often do you shoot ActorsE Chat? 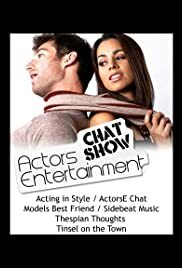 Actors Entertainment presents the experiences of working actors and other entertainment industry professionals. Pepper Jay has assembled a consistent line up of interview subjects that are able to offer insight into their work experience. The Actors Entertainment interviewers are quite pleasant to spend time with, but more important - they know how to place the emphasis on the interview subjects without making the interview about them. Actors Entertainment shows that it doesn't take a major broadcast entity to produce an excellent interview show. If you want to understand what living a life in the entertainment industry is really like, check out this show!